I absolutely love One Degree Organics products. They truly stand by their motto of using only #REAL ingredients. 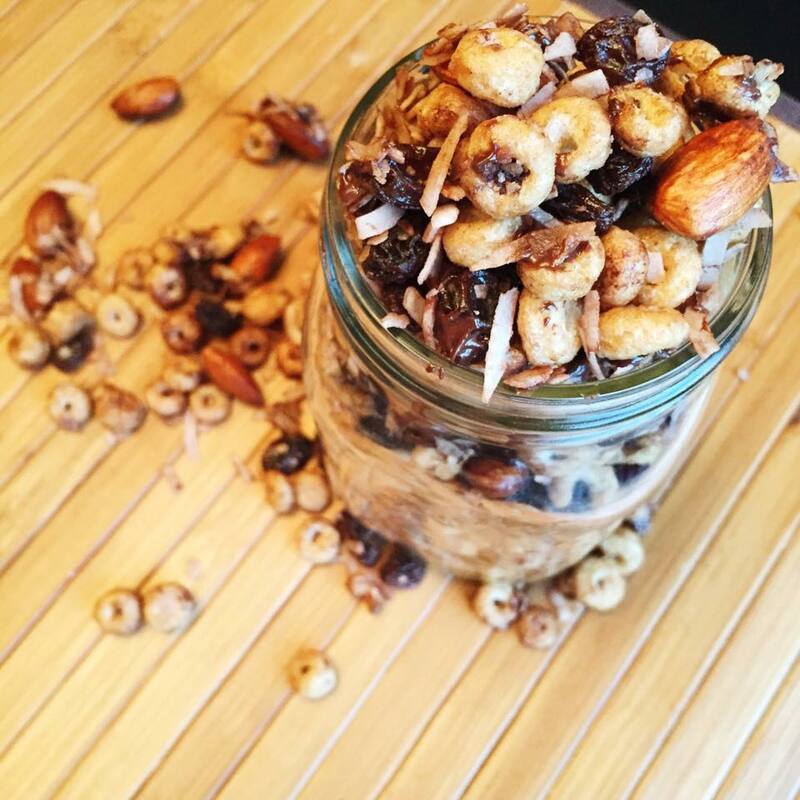 This trail mix was created using their Sprouted Honey O’s.. (QUIT THE CHEERIOS for the real good stuff!!!) Their products can be found…almost everywhere! Sobeys, Whole Foods, Loblaws, etc. The benefit of using a product such as this in the trail mix is that it will be much lower in fats than an all nut trail mix. In a skillet on low-medium heat, add 1 tbsp coconut oil and melt it. Once coconut oil is melted, add the rest of the ingredients in the skillet and mix. Mix/stir the combination in the skillet until starts browning (~5-7 minutes). 1. 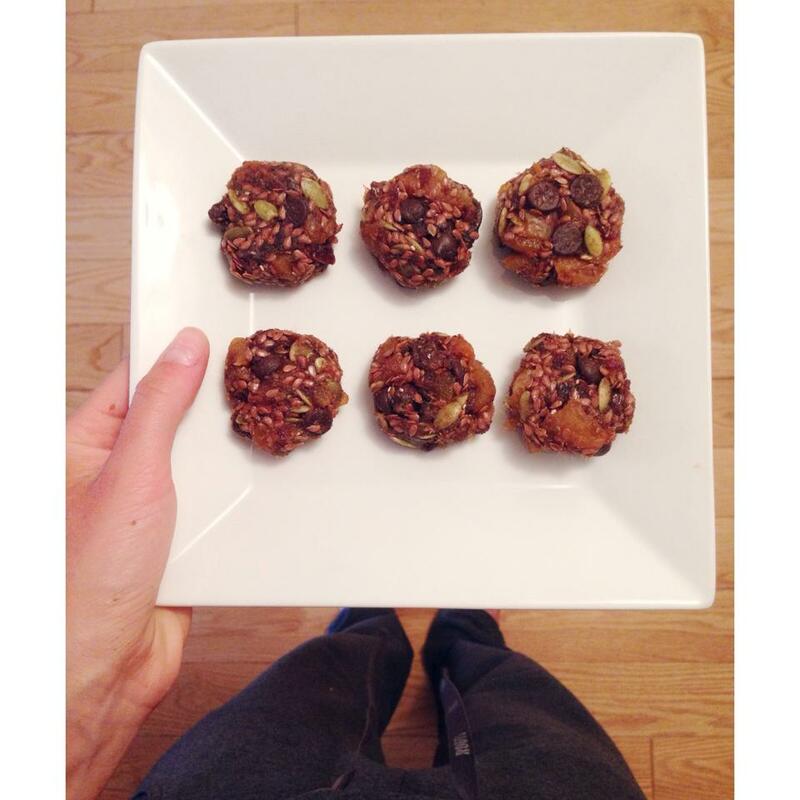 Put 1 cup of dates in the microwave with 1 tbsp water for 40 seconds to soften. 2. Mash the dates in a bowl. 3. Combine all the other ingredients and mix together. 4. Form into mini cookie bites and store in refrigerator. 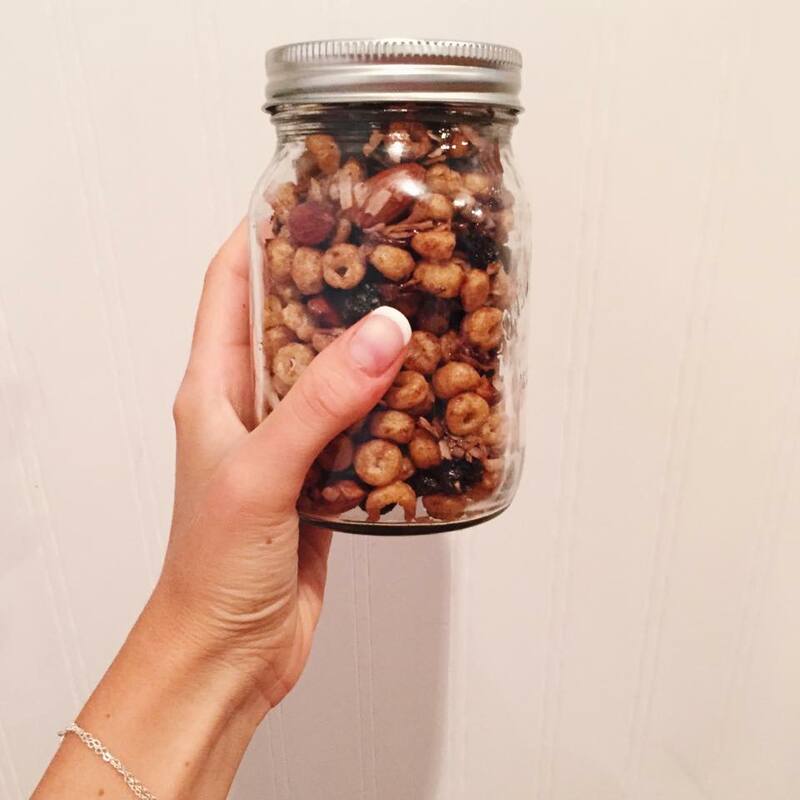 These are a great quick snack to grab on the go, cure your hunger and give you a boost of energy! 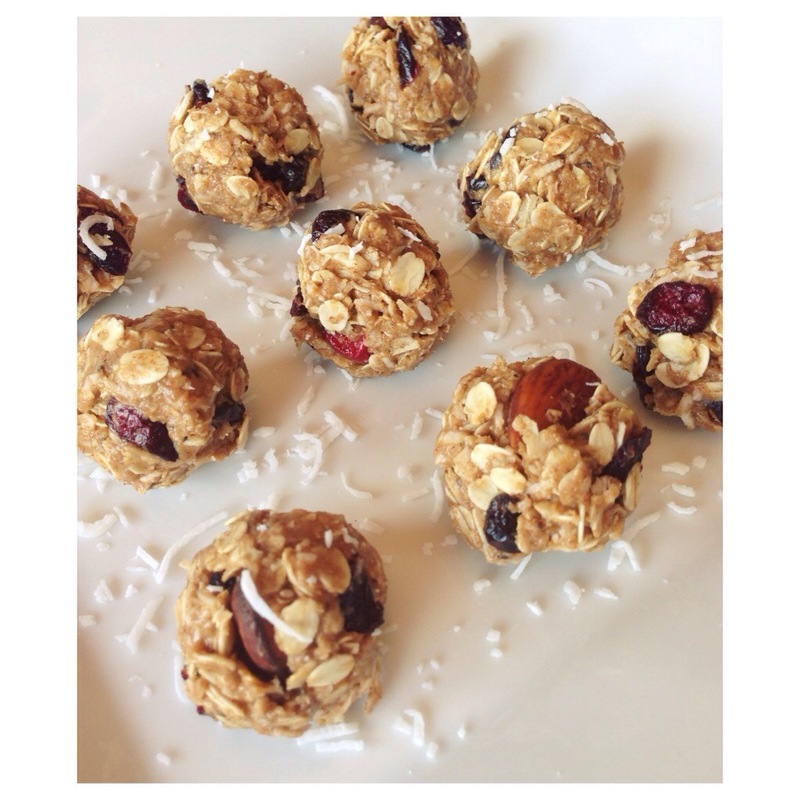 These energy balls are a perfect bite-size snack to boost your energy and tie over your hunger until dinner! I would like to thank Hilray Whole Grains for their generous donation of gluten-free oats to me!! Their facility is completely wheat free and they guarantee uncontaminated oats for all of you who are gluten-conscious/celiac! Hilray is strongly committed to their no risk ‘pure oat oath’, providing a trustworthy and pure product for all of their consumers. AND the best yet…their company began right in my home town of Thorndale, ON!